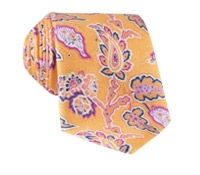 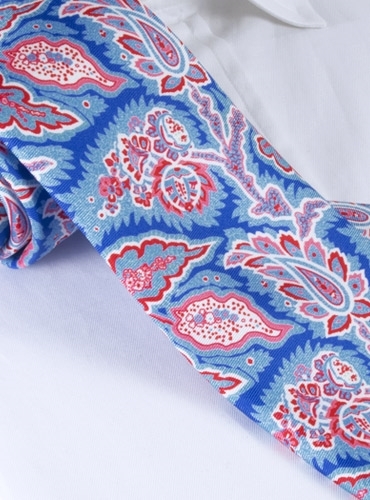 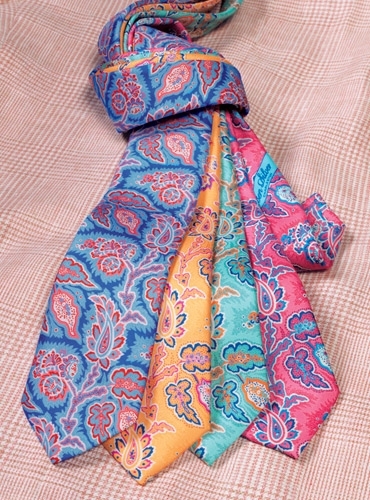 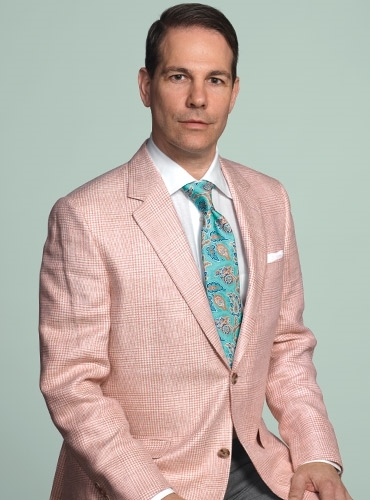 Pure silk neckwear, printed and hand sewn in Italy exclusively for us, in a bold leaf paisley motif and bright and cheerful hues to welcome the season. 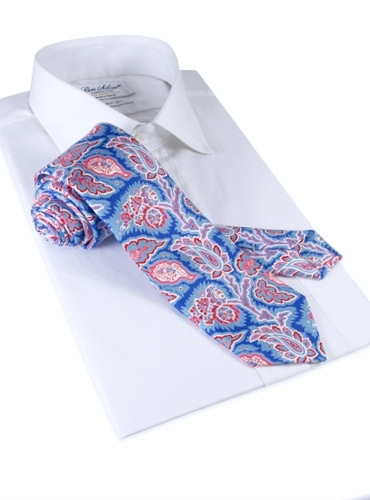 Shown here in A-royal blue. Also available in: B-mango; C-mint; D-strawberry.